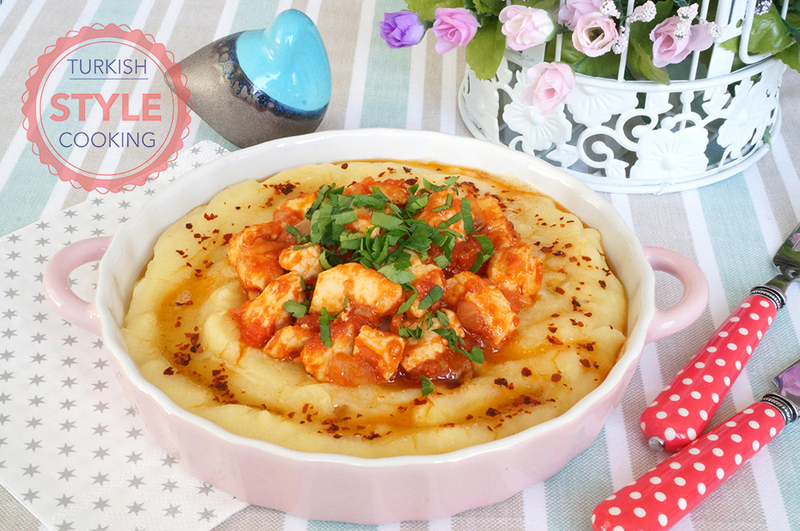 Kaçamak is a traditional Turkish dish which can be cooked in various types.It’s similar to Italian polenta. It can be served plain, with chicken or meat or with melted butter and molasses as a desert. 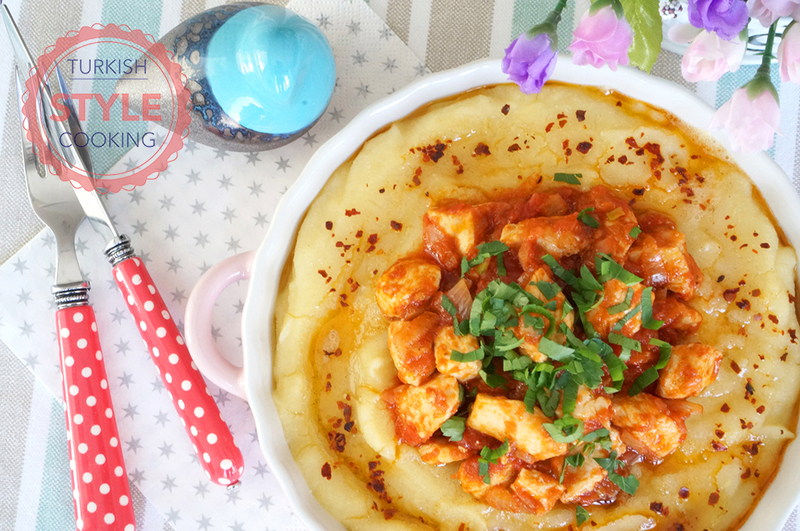 In this version I made chicken kaçamak. 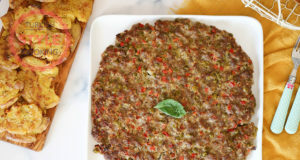 You can prepare the same dish with chooped or ground beef also. Toss the melted butter over and place the sauteed chicken on top.